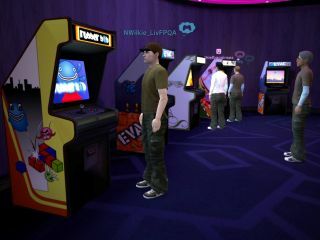 Sony has started to accept applications to beta test its long-awaited PlayStation Home software. Home is being billed as 'Second Life meets Xbox Live Arcade meets World of Warcraft' which basically means it will offer PS3 owners avatar-driven social networking. Among the oft-repeated features are the ability to display 'trophies' of game achievements, the ability to furnish your own PlayStation flat with virtual furniture and play mini arcade games. Although it was announced back in 2007, when Tom Cruise was still considered a star and the iPhone had never heard of 3G, the interface has suffered lengthy delays and allowed Microsoft to launch its own avatar system before Home comes in from the cold. But news 10,000 people will get the chance to participate in the Beta testing will cheer Sony's faithful fans. Unfortunately only those over the age of 18, oh, and from Japan, need apply, and they have until August 11 to get their name in the pot before the Beta starts in later in the month.